Arrangement of the famous folk tune, as played by the ORIGINAL DRACHENFELSER MUSIKANTEN. Aura Lee (aka 'Aura Lea') is an American Civil War song about a maiden. It was written by W. W. Fosdick (words) and George R. Poulton (music). Elvis Presley took the melody in his song “Love me tender “. The song starts slow, and goes to a funny beat. Easy while big fun to perform! "Arrangement of the famous folk tune, as played by the ORIGINAL DRACHENFELSER MUSIKANTEN. 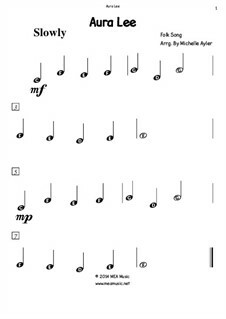 Find all Information, Videos, Audio : www.the-hit-factory.com"
Beginning sheet music for piano. Skill Level: Introductory Piano Sheet. 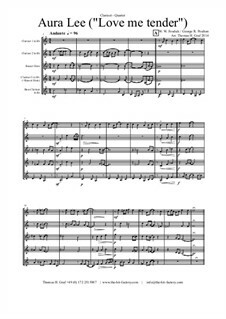 For brass quartet Arranged by Graf T.H. 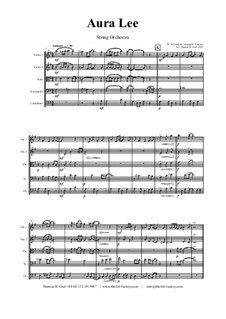 For brass quintet Arranged by Graf T.H. 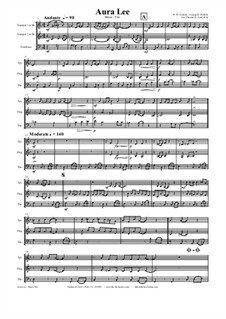 For brass trio Arranged by Graf T.H. 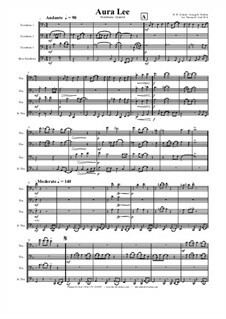 For clarinet quartet Arranged by Graf T.H. 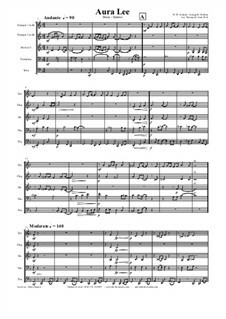 For saxophone quartet Arranged by Graf T.H. 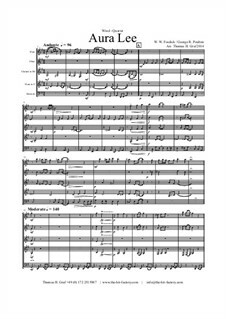 For string orchestra Arranged by Graf T.H. 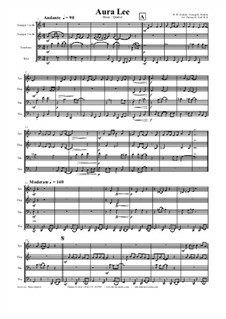 For string trio Arranged by Graf T.H. 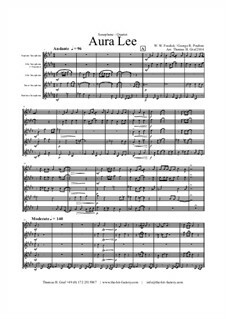 For trombone quartet Arranged by Graf T.H. 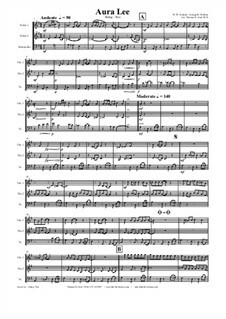 For wind quintet Arranged by Graf T.H.